Standing on top of "Gallows Hill," the Academy, like a great Victorian Matriarch, surveys her family of distinctive and beautiful homes in the old Town. 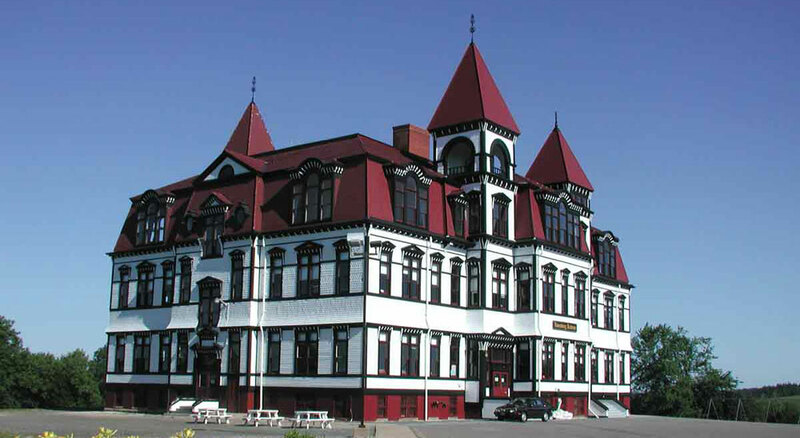 Visible for miles around, it is an outstanding landmark and one of the most remarkable heritage buildings in the Province. It has been designated as a Municipal, Provincial and Federal Heritage site, and was recently restored.